I happened upon this scene Christmas morning, along a lonely winding country road in Lyon County. Enroute to celebrate with family, I paused to capture the scene. Fresh snow had fallen the night before and added a nice touch to the weathered, aged look of the shack and its door. 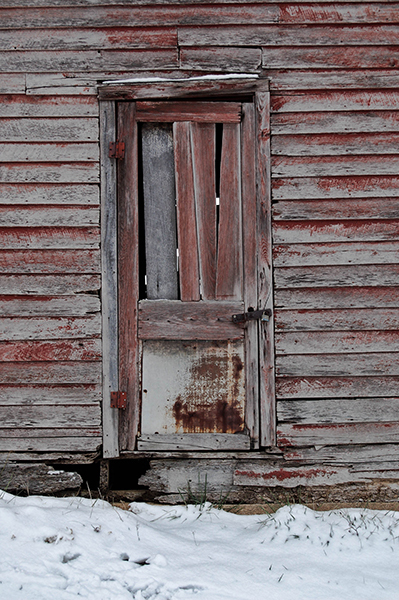 The old wood and worn-with-time red paint caught my eye. One can only ponder the many snows and Christmas seasons it has seen.